In our last session we saw how the director of the six act play stepped on to the stage, as Jesus. 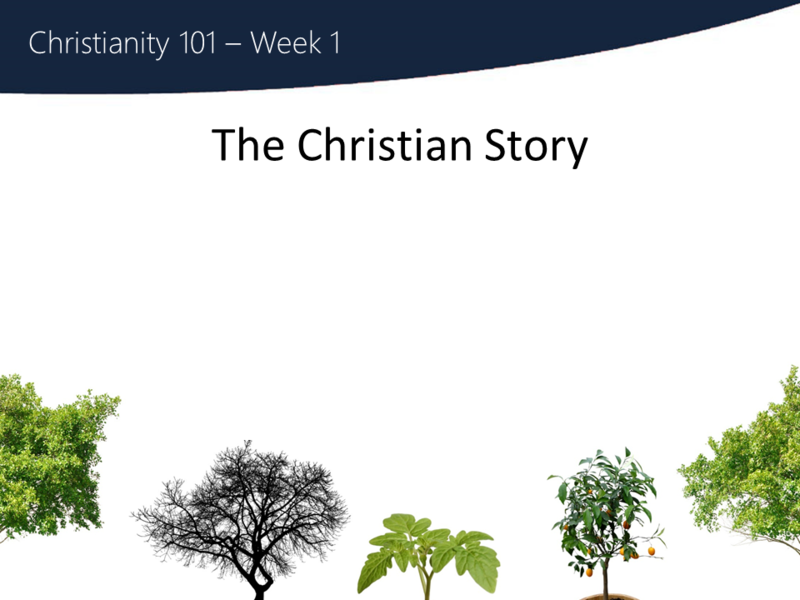 We conclude an overview of the Christian story in six acts with Acts 5 & 6, which are about us, and the end of the story. Question: Which parts of the Christian story give you hope? Which parts do you want to know more about? In our last session we saw how the director of the six act play stepped on to the stage, as Jesus. 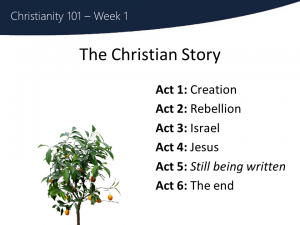 Today we conclude an overview of the Christian story in six acts with Acts 5 & 6, which are about us, and the end of the story.We’ll skip an act, and go right to Act 6 to see how it ends. We know the ending, God has already said how it will be. Maybe you’ve heard about revelation, apocalypse, or the rapture before, and immediately think of awful things when you hear about “the end of the world”. Act 6 is written in very poetic language in the Bible, so lots of people have come up with theories about how and when it will happen. But no matter how one reads it, the point is always that good wins, and evil loses. God wins, and evil loses. God created the world and created us humans to know him intimately and personally. We are meant to be something other than what we are today….and he has plans to restore us into that right relationship with him. But this restoration is not limited to just us humans…all of creation was made for something better, and he has plans to restore the natural world and order as well…no sickness, death, war, famine, etc. Nothing that rebels against God’s good nature. The world as God intended it! But we are not there yet. Creation is not yet perfected, neither are we! There’s a missing act. Imagine this actually happened…an unknown Shakespearean play is discovered. We found Acts 1-4 and Act 6, but Act 5 is missing. One person has proposed collecting a bunch of Shakespearean actors, have them study script, Acts 1-4 and 6, and then put them on stage and invite them to act out the first four acts, then improvise Act 5 in a way that honours the past, and connects with the known ending. We know how this story starts and ends. 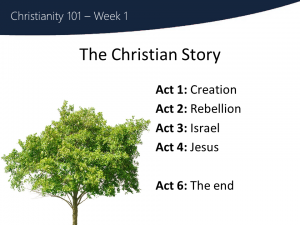 Now we are in Act 5 – invited to join God as part of His story. We are invited to study his past and future actions, and then improvise with him, as we move toward the proper ending, called the kingdom of God…that looks suspiciously like Act 1 as well. God wants us to be part of his plan for the world. And it’s finally possible, because Jesus has set the play back on track. There is the story, in six acts. and God has been trying to reconnect with us ever since. give this story the good ending he has planned. Which parts of the Christian story give you hope? Which parts do you want to know more about?